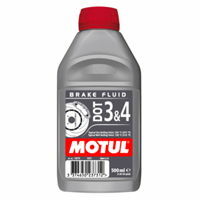 Quite simply, you can buy no better oil than Motul... if you really care about your engine, this is what you need to put in it! Motul's total dedication to developing the most advanced synthetic and semi-synth oils, gives you the double benefits of More Power and More protection. 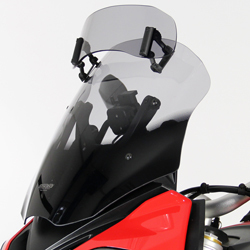 !quote, consumables, aprilia, 6.5, 10, 11, 12, 13, 14, 15, 16, 17, 18, 19, 20, 50, 53, 69, 70, 71, 72, 73, 74, 75, 76, 77, 78, 79, 80, 81, 82, 83, 85, 86, 87, 88, 89, 91, 92, 93, 94, 95, 96, 97, 98, 99, 100, 110, 120, 125, 180, 185, 200, 225, 250, 300, 305, 350, 360, 380, 400, 426, 450, 500, 504, 525, 530, 550, 570, 600, 620, 625, 640, 644, 648, 650, 660, 664, 675, 690, 695, 696, 700, 748, 749, 750, 796, 800, 800XC, 821, 848, 850, 851, 865, 883, 888, 899, 900, 906, 907, 910, 916, 920, 950, 955, 959, 990, 996, 998, 999, 1000, 1050, 1078, 1090, 1098, 1100, 1190, 1199, 1200, 1290, 1290GT, 1299, 1300, 1400, 1800, 1969, 1970, 1971, 1972, 1973, 1974, 1975, 1977, 1978, 1979, 1980, 1981, 1982, 1983, 1984, 1985, 1986, 1987, 1988, 1989, 1991, 1992, 1993, 1994, 1995, 1996, 1997, 1998, 1999, 2000, 2001, 2002, 2003, 2004, 2005, 2006, 2007, 2008, 2009, 2010, 2011, 2012, 2013, 2014, 2015, 2016, 2017, 2018, 2019, 2020, 1000DB5, 1000ds, 1000R, 1000ss, 1050st, 10r, 1100DS, 1100s, 1200c, 1200s, 1200ts, 125ex, 125exc, 125sx, 12r, 200sx, 250et, 250exc, 250r, 250rsb, 2d, 380sx, 3d, 400exc, 400ss, 450sx, 500sl, 500ss, 525exc, 525sx, 530exc, 550fc, 600sl, 600ss, 600tl, 620DS, 625smc, 650gt, 65sx, 660smc, 690sm, 748r, 750c, 750DB1, 750f2, 750k2, 750k6, 750s, 750ss, 800DS, 800ss, 85sx, 860gt, 860gts, 860mhr, 883r, 900s2, 900sd, 900sl, 900ss, 950sm, 955i, 990SM, 990smr, 990smt, 996r, 998r, 999s, 1260, abs, ace, ad, adiva, adventure, adventurer, aerox, af1, AF1 50, af1-125, af1-250, Africa, agility, agusta, AJS, ala, alazzura, aluzzura, america, an400, AN650, and, anf125i, antidive, ap50, Aprilia, ar125, ar50, aspencade, atc250r, ate, augusta, Avenger, B-King, b-whizz, b1h, b2, bad, Bajaj, bandit, bellaria, benelli, beta, big, bigwheel, bimota, biposta, Biposto, bj250, bking, Blackbird, blu, blue, blues, bmw, bob, bol, bold'or, bonneville, Boxer, boy, breva, bros, Brutale, bt1100, buell, bull, bulldog, bultaco, bundy, Burgman, bws, c1h, c2, café, cagiva, california, caliper, can-am, canyon, Caponord, cat, cb, cb1, cb1000, cb1000r, cb1000sf, cb1100, cb1100rc, cb1100rd, cb1100sf, cb125, cb125t, cb1300, cb1300f, cb1300s, cb1400, cb250n, cb250r, cb350s, cb360, cb400, cb400f, cb400n, cb400sf, cb400t, cb450, cb450dx, cb500, CB500F, CB500S, cb500t, cb500v, CB500X, cb550, cb550f, cb550k, cb600, cb600f, cb650, CB750, cb750f, cb750k, CB900F, CBF1000, cbf1000f, CBF250, cbf500, cbf600, CBF600N, CBF600S, cbr1000f, cbr1000rr, CBR1000RRSP, cbr1100xx, cbr125r, cbr250, CBR250R, CBR250RR, CBR300F, cbr400r, cbr400rr, CBR500R, CBR600F, cbr600fs, cbr600fx, cbr600rr, CBR650F, cbr750, CBR900RR, cbx1000, cbx250r, cbx550f, cbx750f, ccm, CFR450R, cg125, city, cj250t, Classic, clr125, cmx, cmx250, cmx300, cmx450, cmx500, comet, commando, Confederate, conv, corsa, cr125, cr125r, cr250, cr500, cr80, crf150r, crf230f, crf250r, crf250x, crf450r, crf450x, crf1000l, crm250, cross, Crossrunner, Crosstourer, cs, ct, custom, cw50, cx500, cx650, cx650e, cyclone, cygnus, D'or, d2e, Daelim, dakar, darmah, davidson, davison, daytona, db1, DB2, DB3, DB4, db5, DB6, DB7, dc, deauville, delux, deluxe, desert, desmosedici, Diavel, xdiavel, Discover, diversion, dl, dl1000, dl650, dn-01, dn01, dna125, dna50, dog, dor, Dorsoduro, douglas, dr, dr-z400sm, dr125, dr125s, dr350s, dr600r, dr600s, DR650, dr650rs, dr750s, dragstar, dragster, drz, DRZ400, drz400sm, ds1000, dt, DT125, dt125r, dt125s, dual, ducati, duke, dx, dxb, dxd, dylan, dyna, easy, ec200, ec250, ec300, edition, efe, EL125, el250, el252, elefant, eliminator, elyseo, en, en450, enduro, enfield, er-5, er-6f, ER-6N, er250, er5, er500, er6f, esd, ese, estrella, et, ETV1000, euro, european, eurosport, Evo, evolution, ex, ex305, executive, explorer, extrema, exup, f1, f2, F3, F4, f4s, f650, f650gs, F650ST, f6c, F700GS, F750GS, F800GS, f800gt, F800R, f800s, F800ST, F850GS, Factory, faired, falco, fazer, fc, fes125, fighter, fii, Fireblade, Firestorm, fj1100, FJ1200, fj1200a, fjr1300, FJS600, flhc, flhr, flhs, flhtc, flhtc-u, flst, flstc, flstf, flstn, fltc, fltc-u, fltri, fly, fmx, fmx650, formula, forza, four, free, freewind, fs1e, ft500c, fu, fun, fur, Furano, futura, fw, fwdd, fx, fx125, FX650, fxd, fxdb, fxdl, fxds-c, fxdwg, fxdx, fxe, fxef, fxlr, fxr, fxr180, fxr180sp, fxrs, fxrs-sp, fxrt, fxsb, fxst, fxstb, fxstc, fxsts, fxstsb, fxwg, fz, fz1, FZ1-N, fz1-s, fz400, fz6, FZ6-N, FZ6-S2, FZ6R, fz750, fz8, fzr, fzr1000, fzr1000r, fzr400, fzr400rr, FZR600, fzr600r, FZR750, fzr750r, fzs1000, fzs600, G310R, G650GS, G650X, gamma, gas, gasgas, genesis, gfr, gfr125, gilera, gl1100a, gl1200a, gl1500j, gl500, Gladius, gle650, glide, glph, glpv, gn, gold, goldwing, goose, gp100x, gp125, gp125d, gp125n, gp125x, gpa1, GPX600R, gpx600rc, gpx750r, gpz, GPZ1000RX, gpz1100, gpz1100s, gpz305, gpz500, GPZ500S, GPZ550, gpz600r, gpz750, gpz900r, gran, Grand, grom, gs, gs1000en, gs1000et, gs1000g, GS1000S, gs125e, gs125s, gs250tt, gs400, gs425, GS500, gs500e, gs500f, gs550, gs550en, gs550et, gs650, gs650g, gs750b, gs750db, gs850g, gsf, gsf600, gsf600s, gsf600n, gsf650, gsf650s, gsf650n, gsf1200, gsf1200s, gsf1200n, gsf1250, gsf1250s, gsf1250n, gsf1200sa, gsf1250sa, gsf400, gsgd, gsm, gsm50, gsr, gsr600, GSR750, gsx-r1100, gsx-r1300, gsx-r400, gsx-r400rr, gsx-r600, GSX1000, gsx1000s, gsx1100, gsx1100e, gsx1100f, gsx1100g, gsx1100sd, GSX1250FA, GSX1300BK, GSX1300R, gsx1400, gsx250, gsx250e, gsx400, gsx400e, gsx550ef, gsx550es, gsx600, GSX600F, gsx600fw, gsx650f, gsx750, gsx750e, gsx750f, gsx750sf, gsx750w, gsxr, gsxr1000, gsxr1100, gsxr400, gsxr400rr, gsxr600, gsxr750, gsxs750, gsx-s750, gsxs1000, gsx-s1000, gsxs1000f, gsx-s1000f, gt, GT1000, gt125, gt185, gt250, gt250r, gt380, gt500, gt550, gt650, gt650r, gt750, gtd, gtr1000, GTR1400, gts, gts1000, gtx, guzzi, gv650, gz125, h1f, half, harley, harley-davidson, harley-davison, Hartford, hawk, Hayabusa, hd, Hellcat, Hesketh, honda, hornet, HP2, hugger, husaberg, husqvana, Husqvarna, hyosung, hypermotard, Hyperstrada, ID, ie, ii, iii, imp, import, Indian, indiana, Iniezione, injection, innova, Integra, intruder, italijet, japanese, Jawa, Jonway, jota, jps, k1, k10, k100, k100r, k100rs, k100rt, k1100, k1200, K1200GT, K1200R, k1200rs, K1200S, K1300GT, K1300R, K1300S, k2, k3, k4, k5, k6, k7, k75, k75-s, k75c, k75s, k8, k9, katana, kawasaki, kb1, kdx200, kh100g, kh125, kh250, kh400, kh500, kl650, kle500, klr250, klr600, KLR650, klv1000, klx110, klx300, klx400, klx450r, klx650, kmx125, kmx450, kr1, KR1-S, kr1s, kr250, Kreidler, ks, ks500c, ksr, ktm, kx100, kx125, kx250, kx250f, kx450f, kx500, kx65, kx85, kymco, kz1000, kz1300, kz400, kz650, l0, l1, l2, lambretta, lario, laverda, lawson, lc, lc4, lc8, le, le mans, lemans, light, lightning, limited, linked, lmf, low, lowrider, ls, ls650, lt, ltd, m1000, m1600, m1800r, m2, m400, m600, m620, m750, m800, m900, m900ms4s, machismo, magna, maico, majesty, Malaguti, mana, mans, Mantra, marauder, master, MB8, mbx125rw, MBX80, mbx80f, mc19, mc21, mc22, mc28, mean, meanstreak, MH900e, mhr, midnight, mille, mirage, mistral, mito, mk1, mk2, mkii, Mondial, monster, montjuic, morini, motard, Moto, motocross, Motors, MP3, msx125, mt-01, mt-03, mt-10, mt01, mt03, MT07, MT09, MT10, MTS1200, mtx125rwf, mtx200rwd, multistrada, mv, MZ, naked, Navigator, nc21, nc23, nc24, nc27, nc29, nc30, nc31, nc35, NC700D, NC700S, NC700X, NC750S, NC750X, newton, ng, night, nighthawk, nighttrain, nineT, ninja, ninja-650, nord, NR750, ns125r, NS400R, NSR125R, nsr250r, nsr250sp, NSR500V, NSS250, NT650V, NT700V, ntv600-j, ntv600j, ntv650, ntv700v, nx650, nxc, nxc125, ocean, one, pacific, pan, pan-european, Panigale, pantah, pantheon, paris, paso, paul, pc800, PCX125, pegaso, people, peugeot, piaggio, Piega, planet, Platina, Polaris, prima, Prix, Pro, ps125i, Pulsar, px, quad, quadrunner, quasar, R, r1, r100, r100cs, r100gs, r100rg, r100rs, r100rt, r100t, r1100gs, r1100r, r1100rs, r1100rt, r1100s, r1150, r1150gs, r1150r, R1150RS, R1200GS, R1200R, R1200RS, R1200RT, R1200S, R1200ST, r2, r30, r45, r6, R60, R60S, r65, r65ls, r75, r76, r80, r80gs, r80rt, R80S, r80st, R850GS, R850R, r87, r90, r90s, racer, racing, raider, raptor, rc, RC390, rc51, rc8, rd, rd125, rd125lc, rd200, rd250, rd350, rd400, rd500, RD500LC, rebel, replacing, replica, retro, revere, Rewaco, rf, rf600r, rf900r, rf900rr, rg, RG125, rg125f, rg250, rg500, RG80, rga, rgs, rgv, rgv250, Rieju, rj250, rm250, rm80, rmx, rmx250, rmz, rmz250, rmz450, road, road star, roadstar, roadster, rocket, rossi, rotary, rotax, Royal, rrk, rrn, rrsp, rs, rs100, rs125, RS125R, rs16, rs18, RS250, RS250R, rs50, rs900, rsb, rst, rst1000, rsv, rsv-r, rsv-sp, rsv1000, RSV1000R, RSV1000SP, RSV4, RSV4RF, RSV4RR, rsvr1000, rt, runner, RV125, RVF400, rvf750r, rx1000, rx50, RXV450, RXV550, rz250, S, s1, S1000R, S1000RR, S1000XR, s2, s2r, s3, s4, S4R, s4s, sa, sachs, saturno, sauber, savage, SB6, SB7, SB8, sc, scorpion, scrambler, sd, sdr200, sei, sernow, ses125, sfc, SFV650, sh125i, sh300i, shadow, Shiver, Siamoto, silver, silverwing, single, sixteen, ske, skx, SkyTeam, sl1000, SL750, slingshot, slkx, slr650, slr650v, slung, smart, smc, softail, sp, sp1, sp1000, sp1000nt, sp2, sp3, spada, speed, speed fight, speedfight, speedmaster, spirit, sport, sports, sportster, springer, sprint, sps, spyder, sr250, sr50, sr500, srv250, srx600, ss, ss50, st, st1100, st1300, st1300x, stx1300, st2, st3, st4, standard, star, strada, streak, street, streetbob, Streetfighter, strike, sugomi, super, super tenere, superbike, supercity, superdream, superduke, superfour, superglide, Superleggera, superlight, Supermono, supermotard, supermoto, supersport, suzuki, sv, SV1000S, sv650, SV650N, sv650s, sv650x, sxv, sxv450, sxv550, Sym, sz, szr660, T, t-max, t100, t140d, t140v, t3, t4, t5, t509, t595, targa, tbird, tc, tc570, td, tdm, tdm850, tdm900, tdr125, tdr250, tema, tenere, Tesi, Tesi2D, Tesi3D, thruxton, thunder, thunderace, thunderbird, thundercat, tiger, tl, tl1000, tl1000r, tl1000s, tm, TMAX, tnt, tour, tourer, tr, tr1, trail, train, transalp, trial, tricolore, Trikes, triple, triumph, trophy, trx, trx850, ts125, tss, tsx, tt, tt-r250, tt600, tu250, Tuareg, tuatara, Tuono, turbo, twin, twindisc, tx, tx350e, tz125, tz250, tzr, tzr125, TZR250, UH125, UH200, unfaired, Ural, us, V, V-Due, v-max, v-rod, v-strom, v-tec, v35, V4R, v50, v65, valkyrie, valve, Van, van van, vanvan, varadero, vdue, Vectrix, venture, versys, vespa, VF1000, vf1000fe, vf1000fr, vf1100, vf400f, vf500f, vf700c, vf750c, vf750f, VFR1200F, VFR1200X, vfr400r, vfr750f, vfr800f, VFR800X, Victory, Vigor, vl125, vl1500, vmax, VMX1200, VMX1700, vn1500, vn1600, vn2000, vn800, vn900, volty, Voxan, vrod, vs, vs1600, vs600, vs750, vs800, vstrom, vt1100, VT125C, vt250f, vt500e, VT600, vt750c, vt750dc, vt800, vtec, vtr1000, vtr1000f, vtr250, vtx1300, vtx1800, VTX1800C, vulcan, vx800, vz1600, vz800, vz850, w650, warrior, west, wheel, white, whizz, wide, wideglide, wildstar, wind, wing, wr, wr250, WR250F, wr250r, wr250x, wr360, wr426f, wr450f, X, x-city, x-max, x1, x11, X3, x4, xb12r, xb12s, xb9sx, xbr500f, XC, xcity, xf650, xj550, XJ6, xj600, XJ600F, XJ600N, XJ600S, xj650, xj750, XJ750F, xj900, XJ900F, XJ900S, xjr1200, xjr1300, xjr400, xl, xl1000v, xl1200c, xl1200s, xl125rf, xl125rt, xl125v, xl53c, xl600, xl600r, xl600v, xl650v, xl700v, xlh, xls, xls1000, xlv1000, xn85, xp500, xr, xr125l, xr250r, xr400r, xr400rv, xr650, XRV650, xrv750, xs, xs1100, xs1100s, xs250s, xs400se, xs500c, xs650, xs650c, xs650e, xs750, xs750se, xs850, xsr700, xsr900, xt, XT1200Z, xt125, xt125r, xt225, xt250, xt350, xt500, xt600, xt600z, xt660r, xt660x, xt660z, xtc125, Xtra, XTZ600, XTZ660, XTZ750, xv1000, xv1100, xv125s, xv1600, xv1700, xv1900, xv1900a, xv750se, xv920, xvs1100, xvs650a, xvz12td, xz550, xz550s, xsr700, yamaha, YB11, YB4, YB5, YB6, YB7, YB8, YB9, ybr, ybr125, yp125r, yp250, ypvs, yz125, yz250, yz250f, yz426, yz450f, yz85, yzf-r1, yzf-r1m, yzf-r125, yzfr25, yzfr-25, yzfr3, yzf-r3, yzf-r6, yzf-r7, yzf1000, YZF1000R, yzf250, yzf600, YZF600R, yzf750r, YZF750SP, yzfr, YZFR1, yzfr1m, yzfr125, yzfr6, yzfr7, z1000, z1000k, Z1000R, Z1000SX, z1300, z1a, z1b, z1r, z250, z250t, z400, z400f, z440, z450, z500, z550, z650, z750, z750b, z750ct, z750e, Z750R, z750s, Z800, Z800e, z900, zephyr, zg1000, zg1300, zip, zl1000, zl1100, zl600, zr-7, zr-7s, zr400, zr50, zr550, zr7, zr750, zr7s, zrx1100, ZRX1100R, ZRX1200, zrx1200r, zrx1200s, zx-10r, zx-12r, zx-6r, zx-7r, zx-9r, zx10, zx1000, zx10r, zx1200, zx12r, zx14, ZX250R, ZX4, zx6r, zx6rr, zx7r, zx7rr, zx9r, zxr, zxr400, ZXR750, zxr750r, zzr, zzr1100, zzr1200, zzr1400, zzr250, zzr400, zzr600! fitted with high performance 2 stroke engines, running at high rpm in severe conditions, direct injection or carburettor. Other uses : Scooters, ATV etc. 100% synthetic lubricant, Ester technology, specially engineered for high performance engines running at high rpm, perfect oil film resistance to protect against wear. Japanese JASO standard consists in passing 4 engine bench tests in order to evaluate lubricity, detergency, anti smoke and anti deposit lubricant properties. JASO FD performance is the highest level of JASO standard, improved engine cleanliness compared to JASO FC. Formulation built on synthetic bases with very high combustion properties which minimise smoke and deposits. Instantaneous and stable mixing with petrol. Lubricant used for Road Racing Grand Prix by the major Teams. Improved and reinforced formula based on 2 different Esters in order to provide outstanding lubrication under highly stringent conditions : acceleration after a curve or at the end of the straight line high revs, full throttle, full load or during braking high revs, closed throttle. 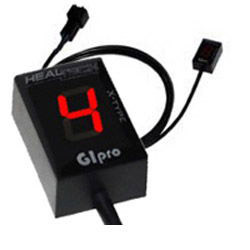 Provides also a perfect lubrication under wet conditions. Specially formulated for gearboxes with wet clutch using a different oil from engine oil : gearbox caseseparated from engine crankcase. Scooters, Quads... suitable when manufacturers require SAE 10W-30 engine oil or SAE 80 gearbox oil. !consumables, aprilia, 6.5, 10, 11, 12, 13, 14, 15, 16, 17, 18, 19, 20, 50, 53, 69, 70, 71, 72, 73, 74, 75, 76, 77, 78, 79, 80, 81, 82, 83, 85, 86, 87, 88, 89, 91, 92, 93, 94, 95, 96, 97, 98, 99, 100, 110, 120, 125, 180, 185, 200, 225, 250, 300, 305, 350, 360, 380, 400, 426, 450, 500, 504, 525, 530, 550, 570, 600, 620, 625, 640, 644, 648, 650, 660, 664, 675, 690, 695, 696, 700, 748, 749, 750, 796, 800, 821, 848, 850, 851, 865, 883, 888, 899, 900, 906, 907, 910, 916, 920, 950, 955, 959, 990, 996, 998, 999, 1000, 1050, 1078, 1090, 1098, 1100, 1190, 1199, 1200, 1290, 1300, 1400, 1800, 1969, 1970, 1971, 1972, 1973, 1974, 1975, 1977, 1978, 1979, 1980, 1981, 1982, 1983, 1984, 1985, 1986, 1987, 1988, 1989, 1991, 1992, 1993, 1994, 1995, 1996, 1997, 1998, 1999, 2000, 2001, 2002, 2003, 2004, 2005, 2006, 2007, 2008, 2009, 2010, 2011, 2012, 2013, 2014, 2015, 2016, 2017, 2018, 2019, 2020, 1000DB5, 1000ds, 1000R, 1000ss, 1050st, 10r, 1100DS, 1100s, 1200c, 1200s, 1200ts, 125ex, 125exc, 125sx, 12r, 200sx, 250et, 250exc, 250r, 250rsb, 2d, 380sx, 3d, 400exc, 400ss, 450sx, 500sl, 500ss, 525exc, 525sx, 530exc, 550fc, 600sl, 600ss, 600tl, 620DS, 625smc, 650gt, 65sx, 660smc, 690sm, 748r, 750c, 750DB1, 750f2, 750k2, 750k6, 750s, 750ss, 800DS, 800ss, 85sx, 860gt, 860gts, 860mhr, 883r, 900s2, 900sd, 900sl, 900ss, 950sm, 955i, 990SM, 990smr, 990smt, 996r, 998r, 999s, abs, ace, ad, adiva, adventure, adventurer, aerox, af1, AF1 50, af1-125, af1-250, Africa, agility, agusta, AJS, ala, alazzura, aluzzura, america, an400, AN650, and, anf125i, antidive, ap50, Aprilia, ar125, ar50, aspencade, atc250r, ate, augusta, Avenger, B-King, b-whizz, b1h, b2, bad, Bajaj, bandit, bellaria, benelli, beta, big, bigwheel, bimota, biposta, Biposto, bj250, bking, Blackbird, blu, blue, blues, bmw, bob, bol, bold'or, bonneville, Boxer, boy, breva, bros, Brutale, bt1100, buell, bull, bulldog, bultaco, bundy, Burgman, bws, c1h, c2, café, cagiva, california, caliper, can-am, canyon, Caponord, cat, cb, cb1, cb1000, cb1000r, cb1000sf, cb1100, cb1100rc, cb1100rd, cb1100sf, cb125, cb125t, cb1300, cb1300f, cb1300s, cb1400, cb250n, cb250r, cb350s, cb360, cb400, cb400f, cb400n, cb400sf, cb400t, cb450, cb450dx, cb500, CB500F, CB500S, cb500t, cb500v, CB500X, cb550, cb550f, cb550k, cb600, cb600f, cb650, CB750, cb750f, cb750k, CB900F, CBF1000, cbf1000f, CBF250, cbf500, cbf600, CBF600N, CBF600S, cbr1000f, cbr1000rr, CBR1000RRSP, cbr1100xx, cbr125r, cbr250, CBR250R, CBR250RR, CBR300F, cbr400r, cbr400rr, CBR500R, CBR600F, cbr600fs, cbr600fx, cbr600rr, CBR650F, cbr750, CBR900RR, cbx1000, cbx250r, cbx550f, cbx750f, ccm, CFR450R, cg125, city, cj250t, Classic, clr125, comet, commando, Confederate, conv, corsa, cr125, cr125r, cr250, cr500, cr80, crf150r, crf230f, crf250r, crf250x, crf450r, crf450x, crf1000l, crm250, cross, Crossrunner, Crosstourer, cs, ct, custom, cw50, cx500, cx650, cx650e, cyclone, cygnus, D'or, d2e, Daelim, dakar, darmah, davidson, davison, daytona, db1, DB2, DB3, DB4, db5, DB6, DB7, dc, deauville, delux, deluxe, desert, desmosedici, Diavel, xdiavel, Discover, diversion, dl, dl1000, dl650, dn-01, dn01, dna125, dna50, dog, dor, Dorsoduro, douglas, dr, dr-z400sm, dr125, dr125s, dr350s, dr600r, dr600s, DR650, dr650rs, dr750s, dragstar, dragster, drz, DRZ400, drz400sm, ds1000, dt, DT125, dt125r, dt125s, dual, ducati, duke, dx, dxb, dxd, dylan, dyna, easy, ec200, ec250, ec300, edition, efe, EL125, el250, el252, elefant, eliminator, elyseo, en, en450, enduro, enfield, er-5, er-6f, ER-6N, er250, er5, er500, er6f, esd, ese, estrella, et, ETV1000, euro, european, eurosport, Evo, evolution, ex, ex305, executive, explorer, extrema, exup, f1, f2, F3, F4, f4s, f650, f650gs, F650ST, f6c, F700GS, F800GS, f800gt, F800R, f800s, F800ST, Factory, faired, falco, fazer, fc, fes125, fighter, fii, Fireblade, Firestorm, fj1100, FJ1200, fj1200a, fjr1300, FJS600, flhc, flhr, flhs, flhtc, flhtc-u, flst, flstc, flstf, flstn, fltc, fltc-u, fltri, fly, fmx, fmx650, formula, forza, four, free, freewind, fs1e, ft500c, fu, fun, fur, Furano, futura, fw, fwdd, fx, fx125, FX650, fxd, fxdb, fxdl, fxds-c, fxdwg, fxdx, fxe, fxef, fxlr, fxr, fxr180, fxr180sp, fxrs, fxrs-sp, fxrt, fxsb, fxst, fxstb, fxstc, fxsts, fxstsb, fxwg, fz, fz1, FZ1-N, fz1-s, fz400, fz6, FZ6-N, FZ6-S2, FZ6R, fz750, fz8, fzr, fzr1000, fzr1000r, fzr400, fzr400rr, FZR600, fzr600r, FZR750, fzr750r, fzs1000, fzs600, G650GS, G650X, gamma, gas, gasgas, genesis, gfr, gfr125, gilera, gl1100a, gl1200a, gl1500j, gl500, Gladius, gle650, glide, glph, glpv, gn, gold, goldwing, goose, gp100x, gp125, gp125d, gp125n, gp125x, gpa1, GPX600R, gpx600rc, gpx750r, gpz, GPZ1000RX, gpz1100, gpz1100s, gpz305, gpz500, GPZ500S, GPZ550, gpz600r, gpz750, gpz900r, gran, Grand, gs, gs1000en, gs1000et, gs1000g, GS1000S, gs125e, gs125s, gs250tt, gs400, gs425, GS500, gs500e, gs500f, gs550, gs550en, gs550et, gs650, gs650g, gs750b, gs750db, gs850g, gsf, gsf1200, gsf1200sa, gsf1250, gsf1250sa, gsf400, gsf600, gsf650, gsgd, gsm, gsm50, gsr, gsr600, GSR750, gsx-r1100, gsx-r1300, gsx-r400, gsx-r400rr, gsx-r600, GSX1000, gsx1000s, gsx1100, gsx1100e, gsx1100f, gsx1100g, gsx1100sd, GSX1250FA, GSX1300BK, GSX1300R, gsx1400, gsx250, gsx250e, gsx400, gsx400e, gsx550ef, gsx550es, gsx600, GSX600F, gsx600fw, gsx650f, gsx750, gsx750e, gsx750f, gsx750sf, gsx750w, gsxr, gsxr1000, gsxr1100, gsxr400, gsxr400rr, gsxr600, gsxr750, gt, GT1000, gt125, gt185, gt250, gt250r, gt380, gt500, gt550, gt650, gt650r, gt750, gtd, gtr1000, GTR1400, gts, gts1000, gtx, guzzi, gv650, gz125, h1f, half, harley, harley-davidson, harley-davison, Hartford, hawk, Hayabusa, hd, Hellcat, Hesketh, honda, hornet, HP2, hugger, husaberg, husqvana, Husqvarna, hyosung, hypermotard, Hyperstrada, ID, ie, ii, iii, imp, import, Indian, indiana, Iniezione, injection, innova, Integra, intruder, italijet, japanese, Jawa, Jonway, jota, jps, k1, k10, k100, k100r, k100rs, k100rt, k1100, k1200, K1200GT, K1200R, k1200rs, K1200S, K1300GT, K1300R, K1300S, k2, k3, k4, k5, k6, k7, k75, k75-s, k75c, k75s, k8, k9, katana, kawasaki, kb1, kdx200, kh100g, kh125, kh250, kh400, kh500, kl650, kle500, klr250, klr600, KLR650, klv1000, klx110, klx300, klx400, klx450r, klx650, kmx125, kmx450, kr1, KR1-S, kr1s, kr250, Kreidler, ks, ks500c, ksr, ktm, kx100, kx125, kx250, kx250f, kx450f, kx500, kx65, kx85, kymco, kz1000, kz1300, kz400, kz650, l0, l1, l2, lambretta, lario, laverda, lawson, lc, lc4, lc8, le, le mans, lemans, light, lightning, limited, linked, lmf, low, lowrider, ls, ls650, lt, ltd, m1000, m1600, m1800r, m2, m400, m600, m620, m750, m800, m900, m900ms4s, machismo, magna, maico, majesty, Malaguti, mana, mans, Mantra, marauder, master, MB8, mbx125rw, MBX80, mbx80f, mc19, mc21, mc22, mc28, mean, meanstreak, MH900e, mhr, midnight, mille, mirage, mistral, mito, mk1, mk2, mkii, Mondial, monster, montjuic, morini, motard, Moto, motocross, Motors, MP3, msx125, mt-01, mt-03, mt-10, mt01, mt03, MT07, MT09, MT10, MTS1200, mtx125rwf, mtx200rwd, multistrada, mv, MZ, naked, Navigator, nc21, nc23, nc24, nc27, nc29, nc30, nc31, nc35, NC700D, NC700S, NC700X, NC750S, NC750X, newton, ng, night, nighthawk, nighttrain, nineT, ninja, nord, NR750, ns125r, NS400R, NSR125R, nsr250r, nsr250sp, NSR500V, NSS250, NT650V, NT700V, ntv600-j, ntv600j, ntv650, ntv700v, nx650, nxc, nxc125, ocean, one, pacific, pan, Panigale, pantah, pantheon, paris, paso, paul, pc800, PCX125, pegaso, people, peugeot, piaggio, Piega, planet, Platina, Polaris, prima, Prix, Pro, ps125i, Pulsar, px, quad, quadrunner, quasar, R, r1, r100, r100cs, r100gs, r100rg, r100rs, r100rt, r100t, r1100gs, r1100r, r1100rs, r1100rt, r1100s, r1150, r1150gs, r1150r, R1150RS, R1200GS, R1200R, R1200RT, R1200S, R1200ST, r2, r30, r45, r6, R60, R60S, r65, r65ls, r75, r76, r80, r80gs, r80rt, R80S, r80st, R850GS, R850R, r87, r90, r90s, racer, racing, raider, raptor, rc, RC390, rc51, rc8, rd, rd125, rd125lc, rd200, rd250, rd350, rd400, rd500, RD500LC, replacing, replica, retro, revere, Rewaco, rf, rf600r, rf900r, rf900rr, rg, RG125, rg125f, rg250, rg500, RG80, rga, rgs, rgv, rgv250, Rieju, rj250, rm250, rm80, rmx, rmx250, rmz, rmz250, rmz450, road, road star, roadstar, roadster, rocket, rossi, rotary, rotax, Royal, rrk, rrn, rrsp, rs, rs100, rs125, RS125R, rs16, rs18, RS250, RS250R, rs50, rs900, rsb, rst, rst1000, rsv, rsv-r, rsv-sp, rsv1000, RSV1000R, RSV1000SP, RSV4, rsvr1000, rt, runner, RV125, RVF400, rvf750r, rx1000, rx50, RXV450, RXV550, rz250, S, s1, S1000R, S1000RR, s2, s2r, s3, s4, S4R, s4s, sa, sachs, saturno, sauber, savage, SB6, SB7, SB8, sc, scorpion, scrambler, sd, sdr200, sei, sernow, ses125, sfc, SFV650, sh125i, sh300i, shadow, Shiver, Siamoto, silver, silverwing, single, sixteen, ske, skx, SkyTeam, sl1000, SL750, slingshot, slkx, slr650, slr650v, slung, smart, smc, softail, sp, sp1, sp1000, sp1000nt, sp2, sp3, spada, speed, speed fight, speedfight, speedmaster, spirit, sport, sports, sportster, springer, sprint, sps, spyder, sr250, sr50, sr500, srv250, srx600, ss, ss50, st, st1100, st1300, st2, st3, st4, standard, star, strada, streak, street, streetbob, Streetfighter, strike, sugomi, super, super tenere, superbike, supercity, superdream, superduke, superfour, superglide, Superleggera, superlight, Supermono, supermotard, supermoto, supersport, suzuki, sv, SV1000S, sv650, SV650N, sv650s, sxv, sxv450, sxv550, Sym, sz, szr660, T, t-max, t100, t140d, t140v, t3, t4, t5, t509, t595, targa, tbird, tc, tc570, td, tdm, tdm850, tdm900, tdr125, tdr250, tema, tenere, Tesi, Tesi2D, Tesi3D, thruxton, thunder, thunderace, thunderbird, thundercat, tiger, tl, tl1000, tl1000r, tl1000s, tm, TMAX, tnt, tour, tourer, tr, tr1, trail, train, transalp, trial, tricolore, Trikes, triple, triumph, trophy, trx, trx850, ts125, tss, tsx, tt, tt-r250, tt600, tu250, Tuareg, tuatara, Tuono, turbo, twin, twindisc, tx, tx350e, tz125, tz250, tzr, tzr125, TZR250, UH125, UH200, unfaired, Ural, us, V, V-Due, v-max, v-rod, v-strom, v-tec, v35, V4R, v50, v65, valkyrie, valve, Van, van van, vanvan, varadero, vdue, Vectrix, venture, versys, vespa, VF1000, vf1000fe, vf1000fr, vf1100, vf400f, vf500f, vf700c, vf750c, vf750f, VFR1200F, VFR1200X, vfr400r, vfr750f, vfr800f, VFR800X, Victory, Vigor, vl125, vl1500, vmax, VMX1200, VMX1700, vn1500, vn1600, vn2000, vn800, vn900, volty, Voxan, vrod, vs, vs1600, vs600, vs750, vs800, vstrom, vt1100, VT125C, vt250f, vt500e, VT600, vt750c, vt750dc, vt800, vtec, vtr1000, vtr1000f, vtr250, vtx1300, vtx1800, VTX1800C, vulcan, vx800, vz1600, vz800, vz850, w650, warrior, west, wheel, white, whizz, wide, wideglide, wildstar, wind, wing, wr, wr250, WR250F, wr250r, wr250x, wr360, wr426f, wr450f, X, x-city, x-max, x1, x11, X3, x4, xb12r, xb12s, xb9sx, xbr500f, xcity, xf650, xj550, XJ6, xj600, XJ600F, XJ600N, XJ600S, xj650, xj750, XJ750F, xj900, XJ900F, XJ900S, xjr1200, xjr1300, xjr400, xl, xl1000v, xl1200c, xl1200s, xl125rf, xl125rt, xl125v, xl53c, xl600, xl600r, xl600v, xl650v, xl700v, xlh, xls, xls1000, xlv1000, xn85, xp500, xr, xr125l, xr250r, xr400r, xr400rv, xr650, XRV650, xrv750, xs, xs1100, xs1100s, xs250s, xs400se, xs500c, xs650, xs650c, xs650e, xs750, xs750se, xs850, xsr700, xsr900, xt, XT1200Z, xt125, xt125r, xt225, xt250, xt350, xt500, xt600, xt600z, xt660r, xt660x, xt660z, xtc125, Xtra, XTZ600, XTZ660, XTZ750, xv1000, xv1100, xv125s, xv1600, xv1700, xv1900, xv1900a, xv750se, xv920, xvs1100, xvs650a, xvz12td, xz550, xz550s, yamaha, YB11, YB4, YB5, YB6, YB7, YB8, YB9, ybr, ybr125, yp125r, yp250, ypvs, yz125, yz250, yz250f, yz426, yz450f, yz85, yzf-r1, yzf-r125, yzf-r6, yzf-r7, yzf1000, YZF1000R, yzf250, yzf600, YZF600R, yzf750r, YZF750SP, yzfr, YZFR1, yzfr125, yzfr6, yzfr7, z1000, z1000k, Z1000R, Z1000SX, z1300, z1a, z1b, z1r, z250, z250t, z400, z400f, z440, z450, z500, z550, z650, z750, z750b, z750ct, z750e, Z750R, z750s, Z800, Z800e, z900, zephyr, zg1000, zg1300, zip, zl1000, zl1100, zl600, zr-7, zr-7s, zr400, zr50, zr550, zr7, zr750, zr7s, zrx1100, ZRX1100R, ZRX1200, zrx1200r, zrx1200s, zx-10r, zx-12r, zx-6r, zx-7r, zx-9r, zx10, zx1000, zx10r, zx1200, zx12r, zx14, ZX250R, ZX4, zx6r, zx6rr, zx7r, zx7rr, zx9r, zxr, zxr400, ZXR750, zxr750r, zzr, zzr1100, zzr1200, zzr1400, zzr250, zzr400, zzr600!